In 1927 A.J.M. Goudriaan, the shipping magnate, commissioned Kromhout to build Ypenhof country house. After having been neglected for years, the monumental house in its park-like setting was burnt to the ground in 1985, allowing upmarket apartments to be built in its stead. All that remains of the original ensemble is the thatch-roofed porter's lodge which gives some idea of the villa's romantic style. Kromhout also designed the residential block on the corner at ‘s-Gravenweg 45-55. Again commissioned by Goudriaan, this was his way of ensuring the best possible view from his home. 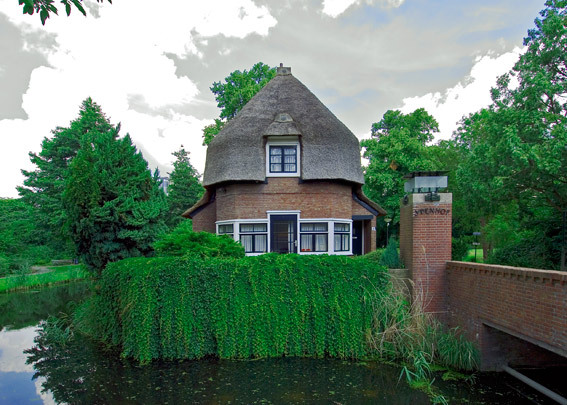 Kromhout also built two double private houses at the Essenlaan.